The new Collegiate Marques de Pombal student accommodation in Lisbon, which opened its doors just last month, stands out in Collegiate’s already impressive portfolio due to its cutting-edge design, unique features and outstanding facilities. Collegiate’s interior design team has paid particular attention to the indoor decoration with the use of street artwork for the very first time. Wanting Lisbon’s world-renown street art tradition to be an integral part of the design of Collegiate Marques de Pombal, Portugal’s best-known graffiti artist Mr Dheo was invited to be involved in this unique project. With 18 years’ experience in the specialist field, the well-respected artist took the time to share how he decorated the building with its residents firmly in mind. How would you define your artwork and what themes do you pursue? I define my work as a conceptual representation of my life experiences over the last 18 years. With my art I want to communicate with people because I believe it is the best way for them to “read” my pieces and to understand who I am. When I work in public, I particularly like to pursue social themes and take on more polemic issues because on a public platform I can reach a wider audience, from the poor to the rich, citizens aged 8 to 80, there is no limit what I can say to them. In the main communal areas and entrance lobby at Collegiate Marques de Pombal, artwork features on the walls. What was your overall vision for these spaces? We wanted to make it as young, vibrant and fresh as possible. The idea was to harmonise everything, bring it together as a whole. The patterns and concepts used outside were also needed inside to make the building identifiable both indoors and outdoors. That’s why the lobby, the rooms and everything else have the same language. How does artwork of Collegiate Marques de Pombal set it apart from anything else in the city? It is a unique project because we thought about everything. For instance, after I sketched what work I wanted to do on the walls, the architects incorporated triangle shapes in the building to harmonize it with my art. Everything in the building is connected. Marques de Pombal is a one of a kind building in Lisbon because street art has never been so involved in a project from start to finish. That’s exactly what makes it different. Marques de Pombal also stands out as it is set in an environment deprived of graffiti, it makes it very easy to identify. The heights, the colours, the complexity of the building makes it a landmark in the city. That’s exactly what we wanted – a building that stirs curiosity. Does your artwork aim to do more than just beautify the place? What impact do you think it could have on residents? If you just want to beautify a place, you can just print an image and put it on the wall just like wallpaper. When it is handmade by an artist, especially in a place like Lisbon, students can think that they can achieve anything. Street art gives them inspirations and remind them that when they work and believe in their dreams, they can do anything. My art in the building is tangible proof of it. When I was a student, it could have been impossible for me to think that I can make a living out of my drawing. I was not connected to any art school and here I am today! There is a growing trend of making buildings and spaces “instagrammable”, can you talk me through how your work at Collegiate Marques de Pombal makes it “instagrammable” for students? Graffiti has become very trendy, which is a good and bad at the same time. People tend to take pictures of everything they see when they travel. Street art is in fact very social media friendly. Students are young and this trend is their language. Since we started the project in August 2017, the building has been ‘instagrammable’ from every angle. People are enjoying the building, they share it on Instagram. Nowadays it is very important to make a building sharable on social media thus, our purpose was to create a lasting building that young people would like capture on video and through pictures and share on social media. What the tools of your trade? I see myself as a pure graffiti artist because I use traditional tools which is a spray can only. No tape, no projector, no brushes, no roller paint: I do everything with spray cans. Of course, I use my head above everything else, my heart, my hands and then my spray cans. For more information, contact Collegiate on +44 1235 250 140 or visit www.collegiate-ac.com. 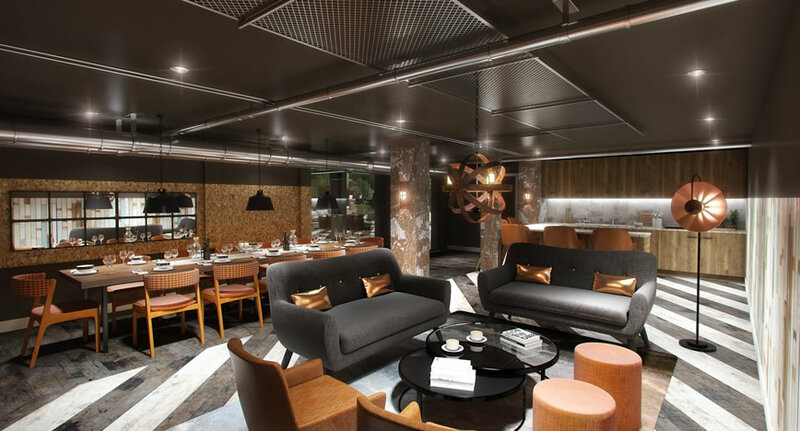 Marquês de Pombal is part of Collegiate’s Prestige Collection with residents benefitting from a private fitness suite, swimming pool and sauna, a 24-hour concierge service, club lounge and an on-site cinema. From €135 per week, it encompasses superior studios space, two bed apartments as well as penthouses with a unique access to a terrace. It is located in the heart of the capital, close to the university’s campus and iconic Avenida de Liberdade. Collegiate is a leading student accommodation provider who delivered 20,000 beds across 30 sites in the UK in recent years. From private gyms, on-site cinema, study rooms, games area and much more, they provide a home away from home with the little luxuries that will ensure the best student experience. Always rejecting any kind of Art course in his childhood, he developed his own techniques, which enabled him to evolve without direct influences. Today Mr.Dheo already made interventions in over forty cities all over the world. He collaborates with well-known international brands and companies although he keeps the street as the perfect place to create. For more information on his projects, visit www.mrdheo.com . After tucking into treats, sweets and booze during the festive period, attention has now turned to the pledges that many of us make to be better over the next 12 months. As eating habits tend to change over Christmas, the most common New Year’s resolutions will doubtlessly be weight loss and the start of a healthier lifestyle. According to the latest statistics from the NHS, obesity and physical activity are key concerns with over half of all adults in England being obese (62%) and more than a third sedentary (38%). The report stresses more than ever the need for UK citizens to quit their unhealthy routines and 2018 could be the time for change! Amongst the most health conscious are today’s students, eager to achieve both their health and academic goals to make the most of their time at university. With increasing pressure to attain top grades, a well-balanced body, mind and soul is becoming essential for students, at any level of study. Providing students with the facilities essential for maintaining a healthier lifestyle, Collegiate the leading provider of luxury student accommodation in the UK, installs high-tech kitchen appliances to give their residents the opportunity to cook meals from scratch. And with tea and coffee prepared at the start of each day by the 24/7 concierge at Collegiate Plummer House in Newcastle, students are able to get ready for a day of lectures with ease. Eclipse, provided by Fusion Students in Cardiff, also benefits from an exclusive French Renaissance themed dining room to host friends and put healthy cooking skills to the test for a fun and relaxing evening in. As well as altering food choices, many New Year’s resolutions begin with a trip to the gym. According to new research from online retailer Discount Supplements, Brits put on 5lb between December 25 and January 1 needing to run 18 miles to burn off all these calories. To inspire students to make time for fitness, regardless of skill level, most Collegiate residences offer on-site gym facilities, including Collegiate West Gate in Exeter, Collegiate Fontenoy Apartments in Liverpool and Collegiate Crown House in Sheffield. In Newcastle, Collegiate Plummer House provides classes such as Dance, Bootcamp and Spinning all included in the weekly rate. At Fusion Students accommodation in Bristol, Newcastle, Cardiff and Nottingham, residents will enjoy around the exam period in February a ‘wellness week’ which has a number of health and wellbeing focused experiences for free. Activities will include personal trainers, free smoothies, pamper nights, yoga and much more. “Many of our residents have said that the range of additional facilities available in our properties enhances their student experience and provides them with the tools they need to lead a healthy lifestyle. Whether it is using the space to experiment in the kitchen, working up a sweat in the gym or letting off steam by exchanging stories in the common room, we believe that these aspects are essential. With 80% of New Year resolutions failing by the second week of February according to U.S news websites, it is crucial therefore that your surroundings help motivate your goals and Collegiate offers the perfect accommodation for focused and well-rounded student-living. Collegiate Crown House in Sheffield is a fine example of student accommodation that helps maintain a balanced lifestyle. 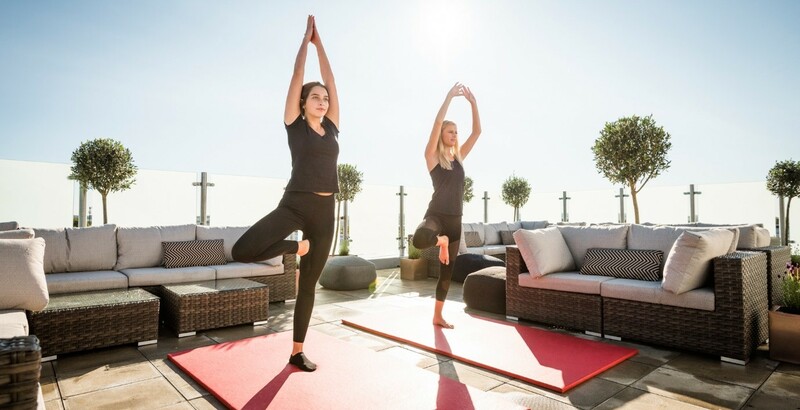 On-site facilities include a cinema, private gym, club lounge and a resident’s bar as well as a choice of generously-sized rooms, along with high-speed broadband, Wi-Fi and 24-hour security and CCTV. For more information, visit https://www.collegiate-ac.com/ or contact Collegiate on 01235 250 140. 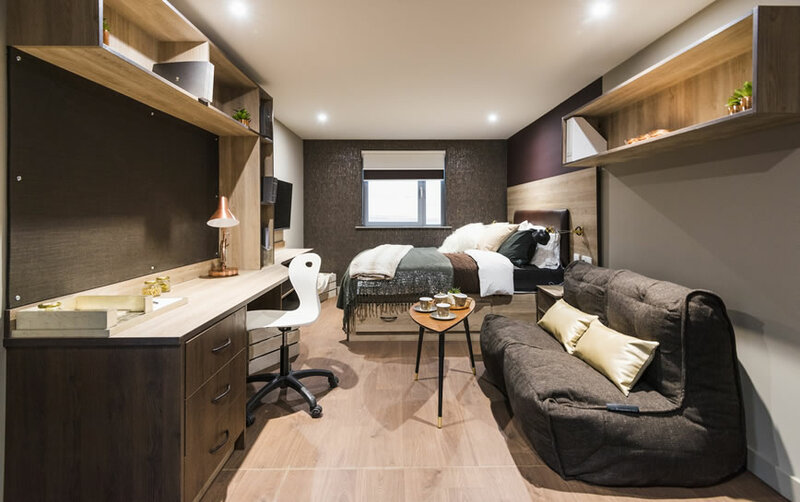 In the last decade, investors have rushed to the burgeoning purpose-built-student-accommodation (PBSA) sector opening new private halls in emergent locations throughout the UK with extra facilities such as gyms and private cinemas. 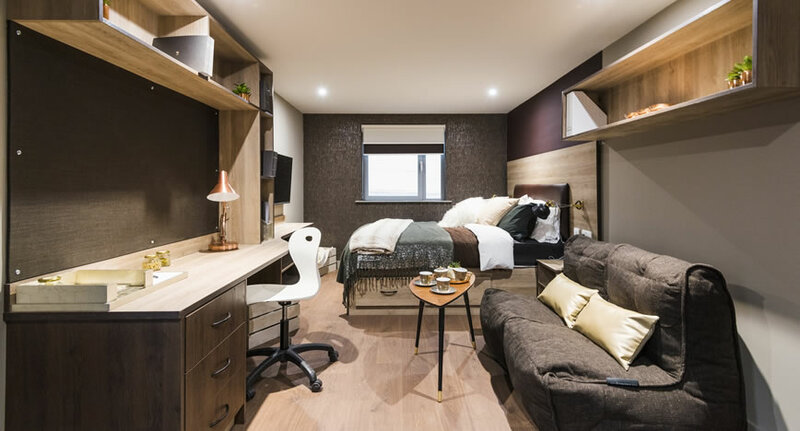 Luxury student accommodation provider Collegiate has been at the heart of this growing market for the past 6 years, attracting students at every stage of their higher education. In fact, Collegiate has recorded a 22% increase in first-year students opting for their accommodation for the current academic year (2017/18) than the last (2016/17), attracted to the security, safety and a wide range of on-site amenities on offer. However, the Savills Student Housing Report 2017 points out that PBSA developments are failing to keep pace with increasing demand. The report claims that 10% more stock is forecast to be delivered in the UK this year vs 2016, highlighting the call to investors to supply more PBSA beds for the future. Collegiate is leading this charge by increasing its portfolio substantially for 2018 and beyond. The operator has launched several PBSA sites this year including Ernest Place in Durham and Crown House in Sheffield. But it won’t stop there, new sites in Exeter, Bournemouth, Reading and Liverpool will open next year with extra facilities for its residents and right on time for the 2017-18 academic year. Collegiate has already increased the supply of PBSA in recent years by delivering 20,000 beds across 30 sites in the UK. Now the operator is going hand to hand with the globalisation of higher education. As the growth in international student numbers has underpinned demand for high quality student housing, Collegiate has turned its attention to European markets, with a heavy focus on Portugal and Spain to start. 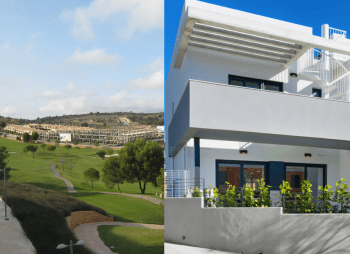 It has acquired new sites, including Marina Real in Valencia, Aravaca in Madrid, Finestrelles in Barcelona and Marquês de Pombal in Lisbon to name but a few and has many more in the pipeline. For the next two years, cities outside the UK hold the largest pipeline for Collegiate with almost 5,000 new beds forecast. The new 330 bed scheme in Lisbon will be the first to kick off the European expansion, opening its doors to residents on 15th January 2018. 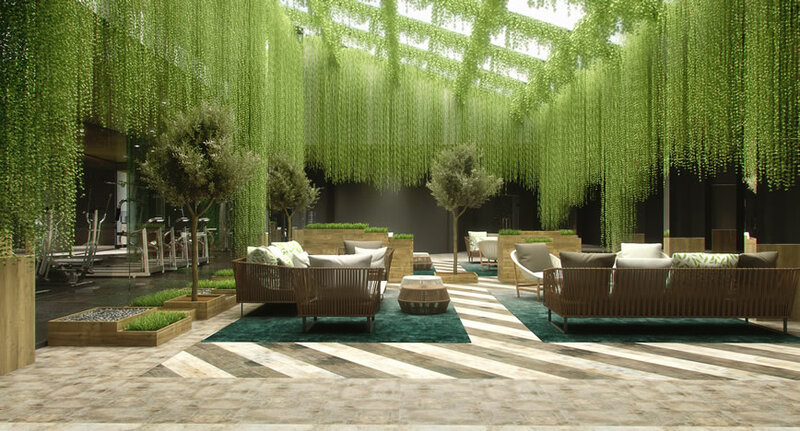 Marquês de Pombal will be part of Collegiate’s Prestige Collection with residents benefitting from a private fitness suite, swimming pool and sauna, a 24-hour concierge service, club lounge and an on-site cinema. From €135 per week, it encompasses superior studios space, two bed apartments as well as penthouses with a unique access to a terrace. 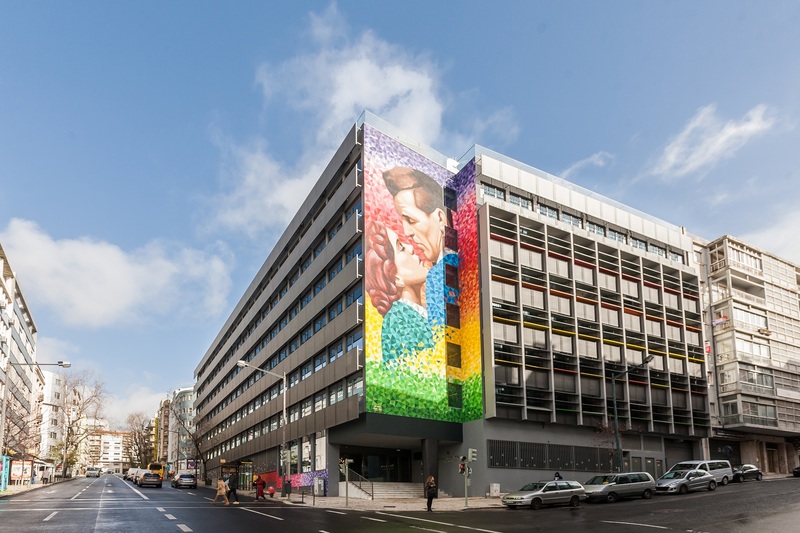 Collegiate Marquês de Pombal is located in the heart of the Portuguese capital, close to the university’s campus and iconic Avenida de Liberdade. Savills World Student Housing report 2016/17 emphasises that Portugal’s student housing sector Is relatively undersupplied, creating an opportunity for reliable student housing operators such as Collegiate to expand their portfolios there. For more information and to book accommodation in university towns and cities across the UK and Europe, contact Collegiate on +44 1235 250 140 or visit www.collegiate-ac.com. Once your course is confirmed, the next step is to find your student accommodation. Most universities require students to apply for their accommodation before A-Level results day, but that doesn’t mean that those who go through Clearing are forced to live in terrible properties. In fact, the rise of student accommodation developments like Ernest Place in Durham means that students going through Clearing have more choice than ever before. Ernest Place is a collection of brand new studio apartments offering stylish and luxurious student living. The exclusive facilities include an on-site cinema, sauna and residents’ glass-walled sky lounge. There’s a study room for hitting the books, as well as a private desk area in very apartment. There’s also a gym for those times when you want to work your muscles instead of your mind. And all of that is backed up by superb service from an on-site management team who’ll do everything from organising social events to help you settle in to signing for your parcels and booking your taxis. From £125 per week. Lucky residents at the brand new accommodation Eclipse in Cardiff will see their lives enhanced by an ultimate living experience. It offers unrivalled facilities, from its on-site private cinema for movies nights to an Alice in Wonderland themed nightclub to entertain friends. From £137 per week, students will also have access to table games, gym and on site dinner party room for community events. Such high quality accommodation is available across the UK through Fusion Students’ sites and Collegiate’s. Headed north to Glasgow? Then check out Claremont House. Studying in Newcastle? Then Plummer House is the place to be. Thanks to new generation accommodation providers like Fusion Students and Collegiate, you can source an outstanding student apartment with a stylish lifestyle built in, even after going through Clearing. So be ready to book fast on 17 August – first your course and then your accommodation! For more information on Fusion Students please visit www.fusionstudents.co.uk or to book other accommodation across the UK, contact Collegiate on +44 1235 250 140 or visit www.collegiate-ac.com. With 2017’s A-level results day on the horizon, the annual hunt for university accommodation gets underway. For hundreds of thousands of students in England & Wales receiving their results on the 17th August, the big question preoccupying their minds is – where am I going to live at uni? If you haven’t found your student halls yet? Don’t panic. Collegiate AC and Fusion Students, have rounded up the most stylish student residences currently available for the 2017/8 academic year. From Glasgow to Exeter, these two providers of luxury student properties in the UK are dedicated to offering quality accommodation in attractive locations with unrivalled service and first-rate facilities. Glasgow: For those who are heading north of the border to Scotland this academic year, Collegiate AC is offering the best experience at Claremont House. The development is ideally situated in North Claremont Street with a brand-new roof terrace offering stunning panoramic views across the city. From £135 per week, the luxury student accommodation available includes en-suite bedrooms with double beds, residents lounge, penthouse studio apartments and a private cinema. Newcastle: Offering a range of individual studios to four-bedroom en-suites, priced from £140 per week, Plummer House by Fusion Students is ideally situated just 10 minutes from the University of Newcastle on Market Street. A private gym with a variety of classes, a games room and an onsite cinema, complete with free Netflix, are available to all residents, as well as a chic in-house BYO bar and VIP lounge, including ice machines and a sound system. There is even a ‘cold room’ which will take delivery of those tech-savvy students’ online food shopping, even if they are not home to receive it. 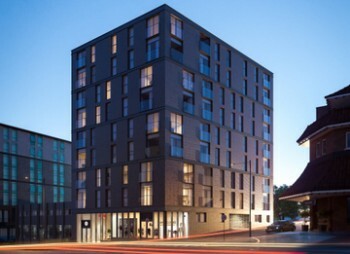 Nottingham: In the city where students like socialising the most according to the latest NatWest survey, Fusion Students have crafted the perfect student accommodation to allow its residents to shine brightest. Nova offers exceptional student living to those looking for premium accommodation backed by outstanding service. It’s packed to the brim with amenities, including a gym, cinema, party room with DJ booth and bar, table games and a cold store. From £134 per week. Birmingham: Students keen to make the UK’s vibrant second city their home should consider Collegiate AC’s Brook Studios. 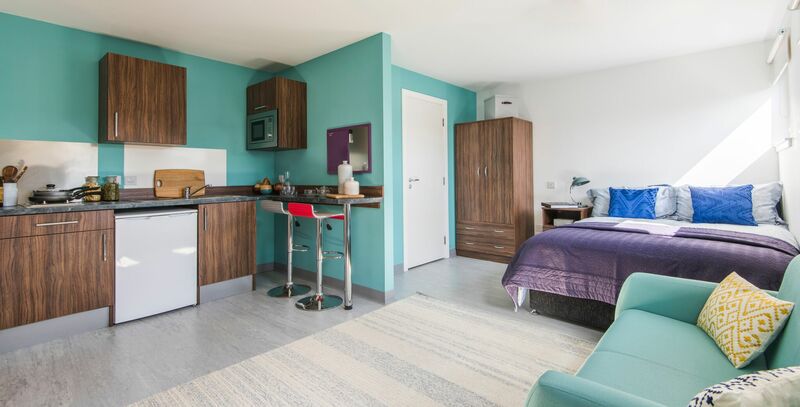 Located at the heart of Edgbaston’s student area, Brook Studios offer the perfect choice of accommodation fitted with contemporary furnishing and fittings, including flat screen TVs, en-suite shower room and kitchens. There is also an on-site gym, a bike storage and a dedicated maintenance team. From £172 per week. Cardiff: Lucky residents at Eclipse will see their lives enhanced by a stylish, ultimate living experience. Eclipse offers unrivalled facilities, from its very own dedicated nightclub for community events, to an Alice in Wonderland themed nightclub to entertain friends. From £137 per week. Eclipse by Fusion Students boasts a long list of amazing features, such as a French Renaissance themed dining room (bookable to throw dinner parties and special occasions), an on-site gym (with on demand exercise classes available), private cinema room, outdoor recreational space and a total sense of security with 24/7 staffing and concierge team, all for an all-inclusive rate. Exeter: Collegiate has created the ultimate student living space with Clifton Place ideally located next to the beautiful River Exe, with convenient access to the popular university of Exeter. It is a unique property given that it has three blocks featuring a series of town houses conversions as cluster flats and studio apartments. From £153 per week. When it comes to top-end student homes, the demand for purpose built student accommodation (PSBA) is rising according to recent Knight Frank report. Providers of luxury student residences, Fusion Students is reporting record levels of demand for their next level accommodation and despite A-level results day still being weeks away, Bristol’s design-led Fusion Tower has been 100% fully booked since June for the 2017/18 academic year. There are various factors at play to explain its success but it turns out social shareability is a very valuable currency for students when choosing their university home. 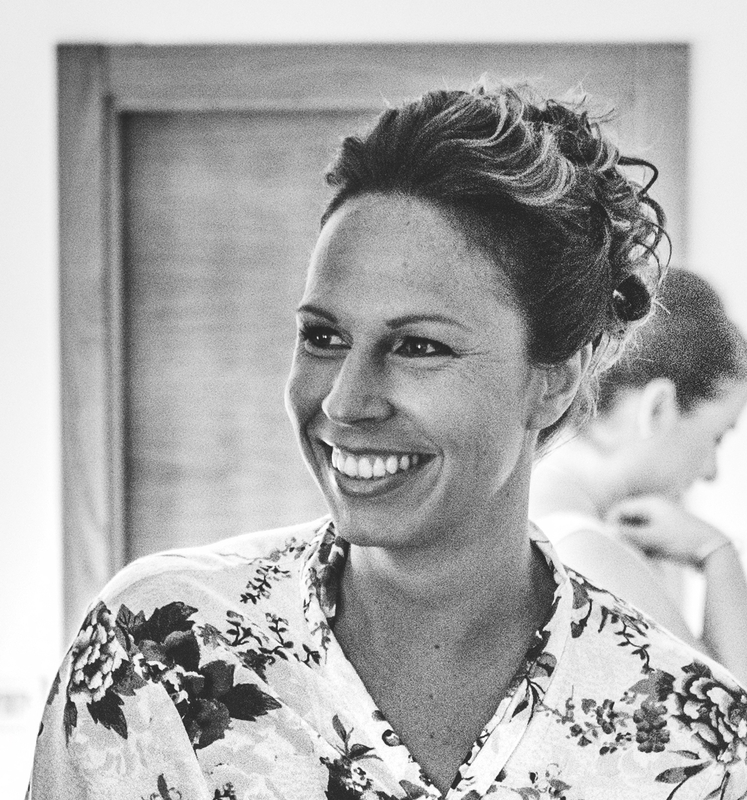 Anabel Oneiro, head of Fusion Student’s interior design team, Stride Trewglown, took time to share why she believes the company’s sites in Bristol, Nottingham, Newcastle and Cardiff are the UK’s most instagrammable places to live for students. How have the demands on design within the PBSA sector changed in recent years? The sector has changed dramatically. 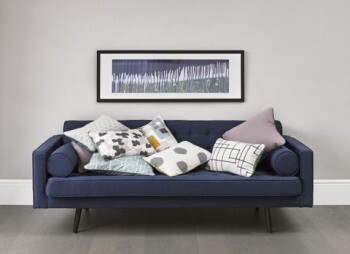 We have seen an evolution of the type of accommodation offer; not only in room types moving predominantly to studio – that we believe are now becoming situated in a majority of the markets – but also in terms of the common area provision. This has come on incredibly in the last 3 years. We have provided everything from bookable dining rooms to swimming pools and everything in between. The student population has a lot of choice and all developers demand their own USPs. What is your vision for the Fusion Students’ sites? This is really a collaborative effort between Stride Treglown and Fusion Students. It very often starts with a sharing of unique spaces that we have seen or visited. Each project is different and requires a different mix of ideas. Generally speaking, the Fusion brand is unique in both its style and approach to student facilities – providing a strong identity and quality interior coupled with generous and desirable amenity space. What makes them stand out in terms of design from other PBSA sites in the UK? Fusion really value the aesthetic quality of their sites and understand that students are living there for one year, maybe longer, and the properties need to respond to their needs. There is a growing trend of making space “instagrammable”, can you talk me through how the Fusion spaces are “instagrammable”? It’s something that we spend a lot of time on – it’s really about providing an opportunity for students to share their experiences on social media taking a selfie with a neon Alice in Wonderland sign, as in our Eclipse site in Cardiff, will make your friends smile…especially if your name is Alice or like wearing stripy socks! It’s a talking point and helps get people conversing about where they live, in a new city where you are just getting to know people, that’s important. Getting more social media coverage should be high on everybody’s radar – today is all about sharing the experience on your surroundings with others that aren’t there. How do you design the spaces with today’s students in mind? The student population has evolved from generation X, Y and now Z. Today students have grown up with the internet as part of their lives. Decisions are made instantly based on image and key facts which is why design is so critical. The mix of international students has steadily increased and their needs are different from UK students but equally as important. The social aspect of student life has also changed and study is more important than ever with increasing tuition fees and pressure to achieve. What impact do you feel the design of the Fusion sites has on the residents and their ability to study at university? There is a greater emphasis on study and we are responding to that by providing bookable study rooms, group and individual study areas and opportunities for spaces to be used by third parties, university or corporate partners. Education, living and employment are all converging under one umbrella not only in accommodation but also in the other sectors – It’s quite an exciting time. For more information on Fusion Students please visit www.fusionstudents.co.uk or to book a room at Fusion Tower, Eclipse in Cardiff, Nova in Nottingham or Plummer House in Newcastle, contact Collegiate on +44 1235 250 140 or visit www.collegiate-ac.com. Bristol luxury student accommodation 100% booked for 2017/18 academic year before A-level results are even out! Durham’s Ernest Place is set to open this September, revealing premium, design-led accommodation for the city’s students. Sleek yet bold, the latest offering from student accommodation and lifestyle provide Collegiate AC is guaranteed to turn a few heads. Cuanalo, together with his expert interior design team, took time out from his busy schedule to share his insights into what is likely to be one of the most sought-after places to live in Durham. How does this new site differ from other sites in Durham? What sets it apart? As the first Collegiate AC Prestige site, we knew that Ernest Place had to stand out not just from student accommodation in Durham but from sites across the UK. We’ve packed the site with first-class features: students can benefit from private dinner party rooms, an on-site cinema, a sauna, study zones, a private fitness centre and two big lounges, one of which is the glass-walled Sky Lounge with roof terrace on the top floor. Can you explain how the bedrooms are tailor made for students from a design point of view? We used bespoke furniture to fit in the room, so that there is no wasted space. All items are tailored to suit students’ needs – we sought to provide a place where they can rest, work, socialize, cook, eat, and entertain themselves. The en-suite shower rooms, flat screen TVs, double beds and overall luxurious finish also serve to make this scheme unique. What are the storage solutions used in the bedrooms? We’ve implemented various storage solutions to suit students’ different needs. There are shelving units and drawers in the bedrooms, both wall hung and integrated in fitted furniture. These come in several sizes, to house different types of items. We also made space for a double wardrobe, extra storage underneath the bed and kitchen units in the studio apartments. How are the in-bedroom work areas designed? We’ve tended to opt for spacious desks with integrated storage, as well as the ubiquitous Collegiate oversized pin board! The Sky Lounge is an incredible communal space; can you talk us through the vision here and how you achieved it? The Sky Lounge is a place where students can chill out during the day and especially in the evening, inviting friends and partying if the mood takes them. There is a massive bar, which we highlighted with bespoke brass light fittings above. We also played with a mix of loose and fixed furniture, a semi-private dining area and see-through screens at the back of the bar, which is in the middle of the room. The colour scheme is dark and moody, offering a contrast to the residents’ lounge on the ground floor, which has more of a daytime, welcoming feeling. The external terrace area will be great for students. How have you designed it to be attractive and functional yet weather resistant and durable? It was certainly a challenge! In the end went with the concept of an outdoor bar, so that the space is durable and practical. We then introduced fixed lighting on the floor and decorative elements to create the right mood. Can you talk us through the design of the communal kitchens? We wanted the communal kitchens to be similar to the ones the students have in their own studios, so that they can still feel at home. At the same time, we wanted to give them something different, so we played with finishes and colours to create new and exciting elements. The common room looks like a warm and welcoming space; can you share how you achieved this look and feel? We wanted to create a really homely and cost space, so we used warm colours, with plenty of timber and warm metals like brass and copper. We also had fun playing with textures and materials and mixing loose and fixed seating to create a room that has really broad appeal. Our goal was to provide a space where everyone can feel welcome and relaxed. Ernest Place will be welcoming the first student residents this September so for more information and booking, contact Collegiate on +44 1235 250 140 or visit www.collegiate-ac.com. A child heading off to university for the first time is an emotional moment for any parent. Mixed in with the pride of sending your offspring out into the world to study is the inevitably anxiety about how they will settle in, make friends and manage to fend for themselves. Thankfully, the rise of the purpose built student accommodation sector in recent years means that parents can at least cross fretting about sub-standard accommodation off their list of worries. At Collegiate AC’s new Ernest Place site in Durham, for example, the en-suite accommodation includes a private desk area with ample space for studying, as well as peaceful study zones dotted about the building. 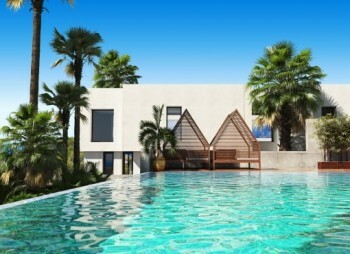 For downtime, there’s a gym, club lounge, dinner party room, sauna, roof terrace and private cinema. This wealth of shared facilities means that residents find it easy to make new friends, so parents can relax about how their child will get on with meeting people. Ernest Place, like many Collegiate AC properties, also features a concierge service on site, meaning that residents always have someone to turn to should they need advice, guidance or support. Safety and security is always a big concern for parents. This is why Collegiate uses electronic entry systems for its buildings, with CCTV in communal areas. The site locations are also chosen to be within close proximity to the university and/or city centre, so that students don’t face long walks down deserted streets in order to get home in the evening. Practical details are often a concern for parents too. Many worry that their youngsters will exist solely on a diet of takeaway pizza once left to fend for themselves. In reality, though, university presents an excellent opportunity for young people to enhance their cooking skills. Accommodation providers like Collegiate include full kitchens in their properties, so that residents can learn to cook in their own time and space, when the mood takes them, without the stress of other residents pilfering their pint of milk from a shared fridge or making fun or their overcooked spaghetti. Waving goodbye to a child attending university for the first time is never easy, but at least the recent evolution of the student housing sector means that accommodation is one less thing that parents have to worry about. For more information and to book accommodation, contact Collegiate on +44 1235 250 140 or visit www.collegiate-ac.com. The UK purpose built student accommodation sector attracted £3.1 billion of investment in 2016, according to Knight Frank. Meanwhile, PwC has flagged student accommodation as one of Europe’s top three alternative real estate investment options for 2017. Given this impressive scenario, it is perhaps no wonder that leading student accommodation providers are stepping up their game. The Collegiate AC team is excited about being part of the new era of student accommodation. 2017 will mark both the opening of the visionary provider’s first overseas site – Collegiate Marquês de Pombal in Lisbon – and the launch of its first Prestige Collection site – Ernest Place in Durham. Designing two such ultra-opulent sites has been an exciting experience for the Collegiate interior design team. In Lisbon, a localised blend of industrial chic, art and nature has given the site an incredibly unique character. In the natural light-filled Skylight Lounge, students can relax in between olive trees, flower beds and long, hanging fronds of foliage. Just off the lounge, the stunning swimming pool area uses ceramic tiles and bespoke furniture pieces to create a fabulous sense of luxury. The new Ernest Place site in Durham is just as exciting. The cutting edge interior design has created a sophisticated scheme, with bold elements that surprise and charm. The building is playful in its approach to atmospheres. The common room oozes warmth, with timber, brass and copper creating a relaxed, welcoming environment. By contrast, the impressive Sky Lounge offers a deliciously dark and moody atmosphere. Meanwhile the rooftop terrace provides an ultra-contemporary, chic outdoor bar vibe. 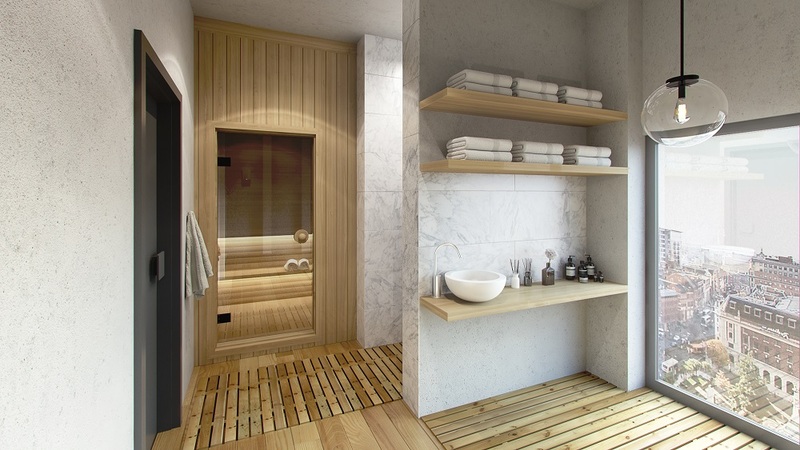 And for those moments where ultimate relaxation is required, the fresh, natural feel of the sauna is just the ticket. As well as crafting superb communal areas, Collegiate’s interior design team has paid particular attention to the bedrooms available to students in Lisbon and Durham. Sleekly designed storage solutions provide plenty of space for possessions, while clever spatial planning has ensured that each student can get maximum use out of their available space. Rooms are designed to allow for resting, working, socializing, cooking, eating, and entertaining. They are at once homely and sophisticated in their design, as well as drawing on local inspiration. In Lisbon, the influence of the blue and white patterned azulejos (tiles) for which Portugal is so well known, can really be felt in the serene surroundings of the scheme’s bedrooms.